I’ve always loved looking at the night sky, seeing all of those stars and knowing that there’s something more out there. I am also partial to the moon because my dad’s mom, Nana, has always called me Sunshine and I call her Moonshine, which was infinitely more funny when I realized what else shares that name! 🙂 Her 70th birthday is on Saturday, the 4th. If the moon wasn’t quite full last night, I hope it will be then because we’ll be celebrating at the beach! I am so excited to have my toes in the sand! I read online that Jupiter and Venus were going to cross paths last night, so I set up out back to enjoy the view, only to find power lines directly in the way. Figures. So I marched down the block with my tripod and telephoto lens and found a great spot a couple houses down. 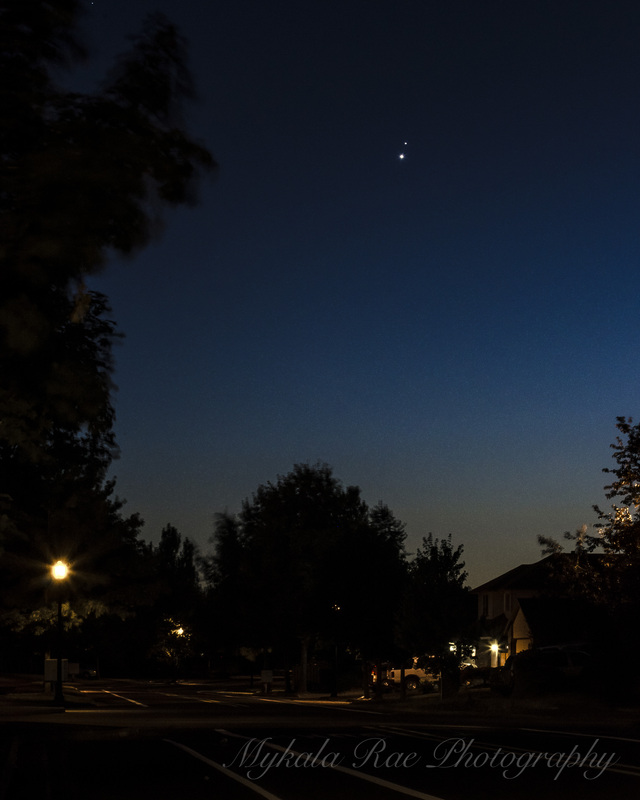 Here’s a photo for those of you who missed the planetary conjunction! 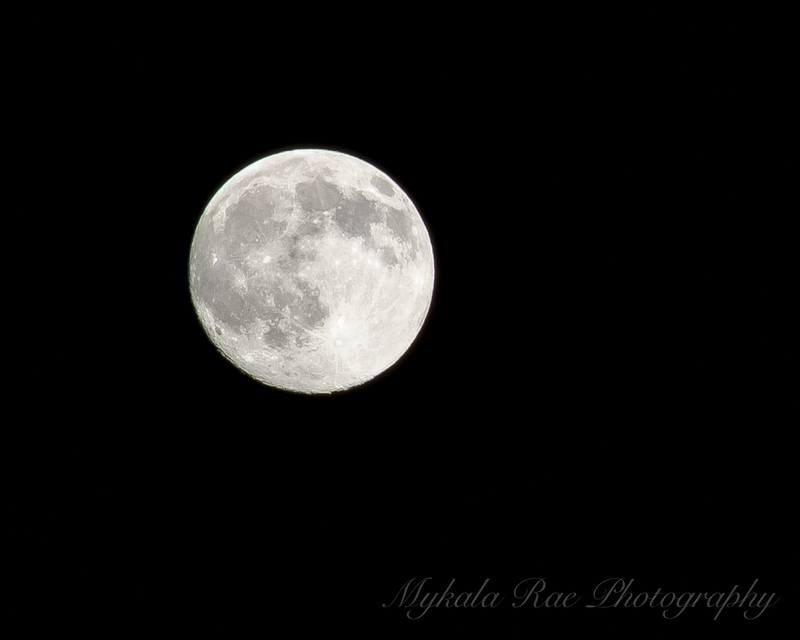 The Moon also made an appearance and in my opinion stole the scene! I couldn’t believe how much detail I could see on the surface – just look at all those craters! This universe is absolutely incredible.